Happy Monday! How was your weekend? Are you getting all your Christmas shopping done? Over the weekend I did some major shopping, so I thought I’d share some of the goodies I ordered online. I’ve been thinking a lot about my wardrobe for once the baby gets here, or at least for those first initial months. I picked up some breastfeeding friendly tops, but wanted to get some new loungewear, at-home pieces that will make me feel put together and cute, but still comfortable. Read on to see what I snagged, plus I’m sharing some awesome Green Monday sales. I’ve been talking so much about my favorite Zella midi leggings and last week I stumbled upon these from Alo. Perhaps brands are catching on to this whole midi length. These are for after baby gets here, but I must say, I’m already obsessed. I love the leather look and the length is absolutely perfect. For reference, I ordered an xs. Another piece that’s probably more for after baby gets here. Could this be more cozy? Perfect for the winter to lounge around in, even for Christmas morning. It comes in an assortment of different colors. I’ll share more details on my Instagram Stories once it arrives. I have another Alternative Apparel sweatshirt that’s super soft and cozy and this distressed hoodie was calling my name. It says it runs small, so I ordered a small. Crossing my fingers it works out. I will be living in this hoodie at home and even pairing it with athleisure looks. 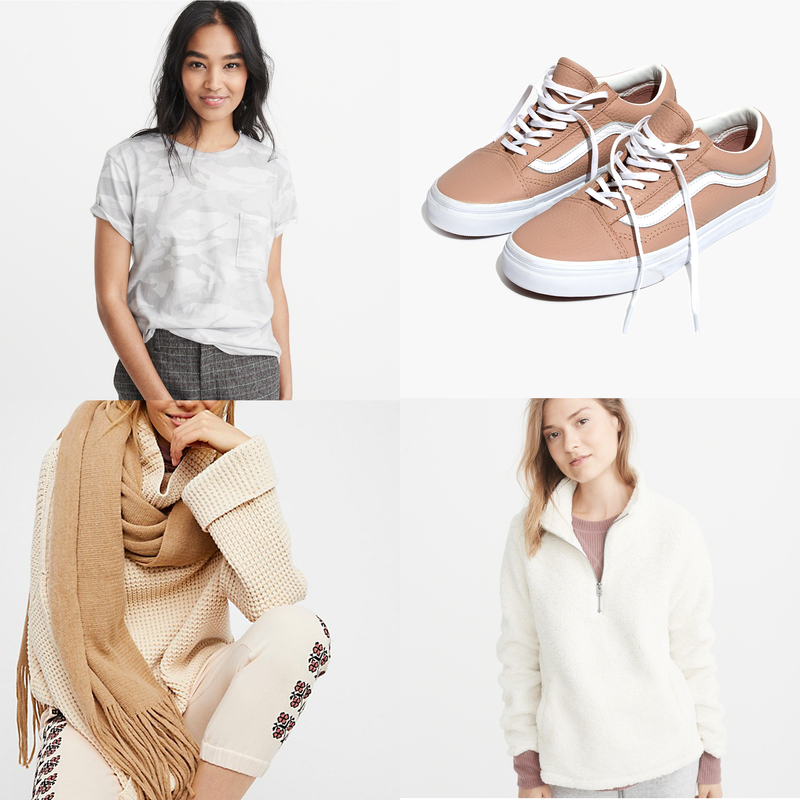 I’ve been looking for easy sweaters I can throw on and this was is simple, but still has cute details. It comes in petite and regular sizes, but I ended up getting it in a regular xs. Hoping it’s not super oversized. It comes in all sorts of colors, if you’re not into white. I ordered both this color and black version. Since I’ll be spending some time at home adjusting to parenthood, I figure it would be nice to have some simple yet cute tees on hand. 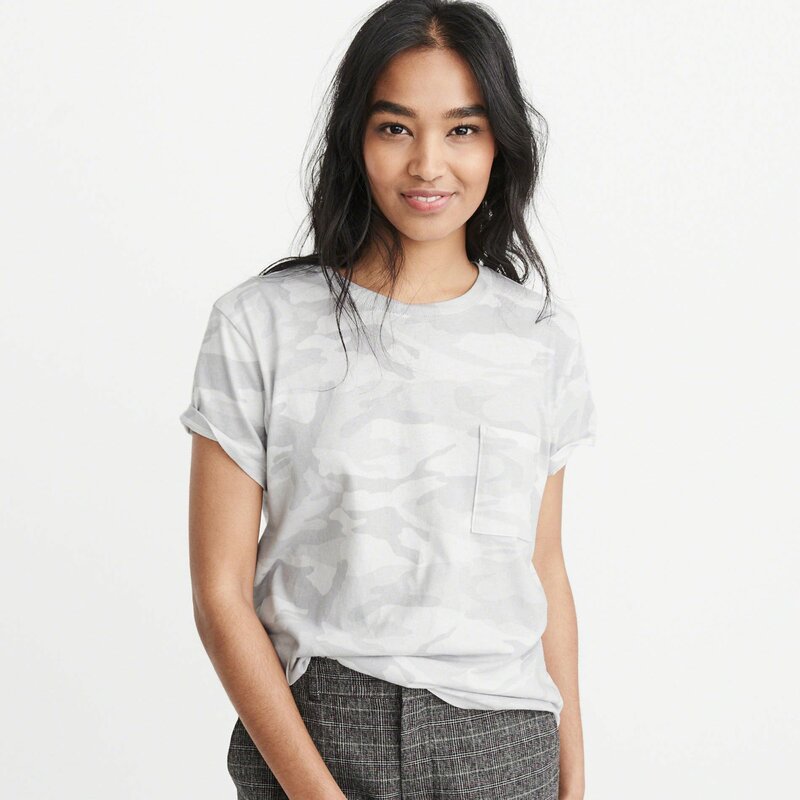 BTW, A&F always has really cute graphic tees. If you’re in the market, I would check them out. I ordered this in the light grey color a couple weeks ago and loved it so much, I ordered the camel one too. It’s oversized in terms of length, but it’s so soft, cozy, and warm, that the length doesn’t bother me. A go-to piece for me this winter, for sure! 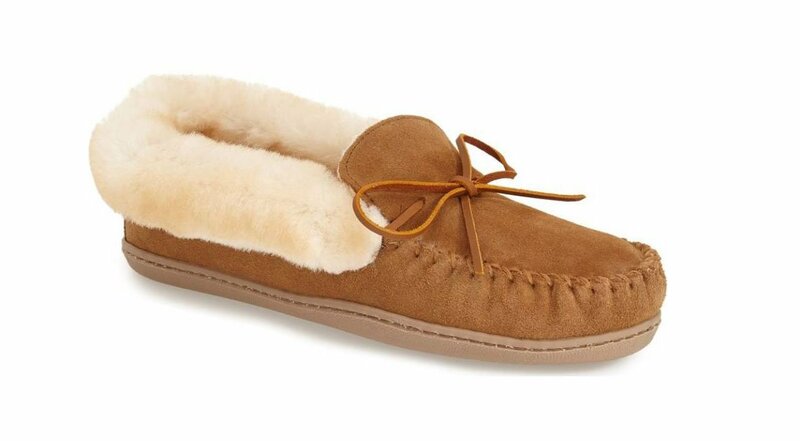 I have a couple pairs of Ugg slippers, but wanted to give these more affordable Minnetonka ones a try. Reviews mention they run large, so we’ll see how they work out once they arrive. Stay tuned. Another piece for my new-mom lounge wardrobe. 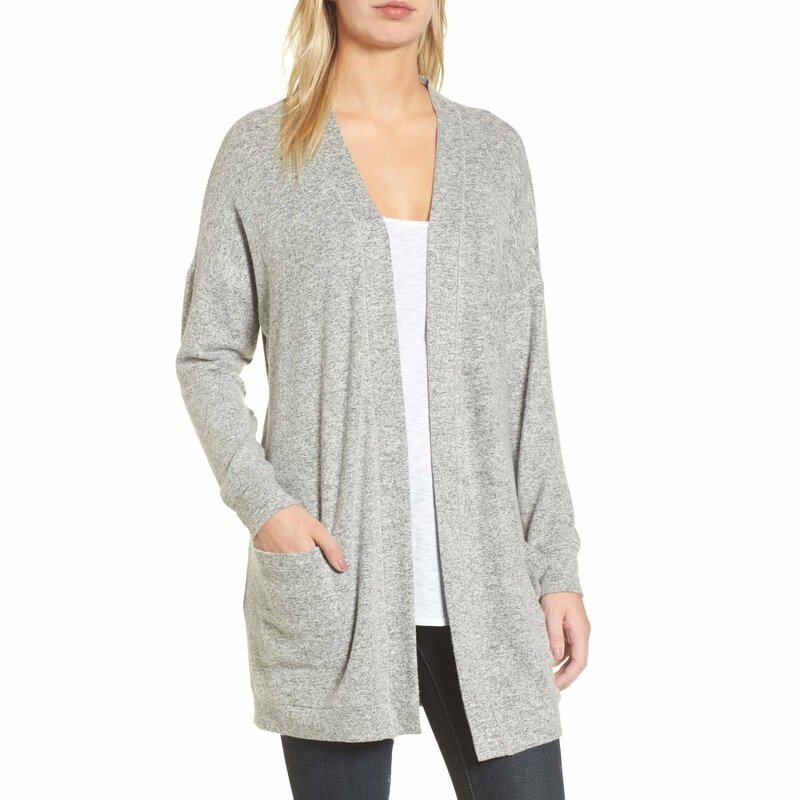 I love the Gibson fleece line, it’s so soft and comfortable and this cardigan looks like the perfect layer to throw on. It comes in an assortment of colors and petite sizes. I’ve had a couple readers ask if I found any petite joggers. The answer was no, but I stumbled upon these and the description says the inseam is 23″. I’m so excited to give these a try, I actually ordered the black and gray. 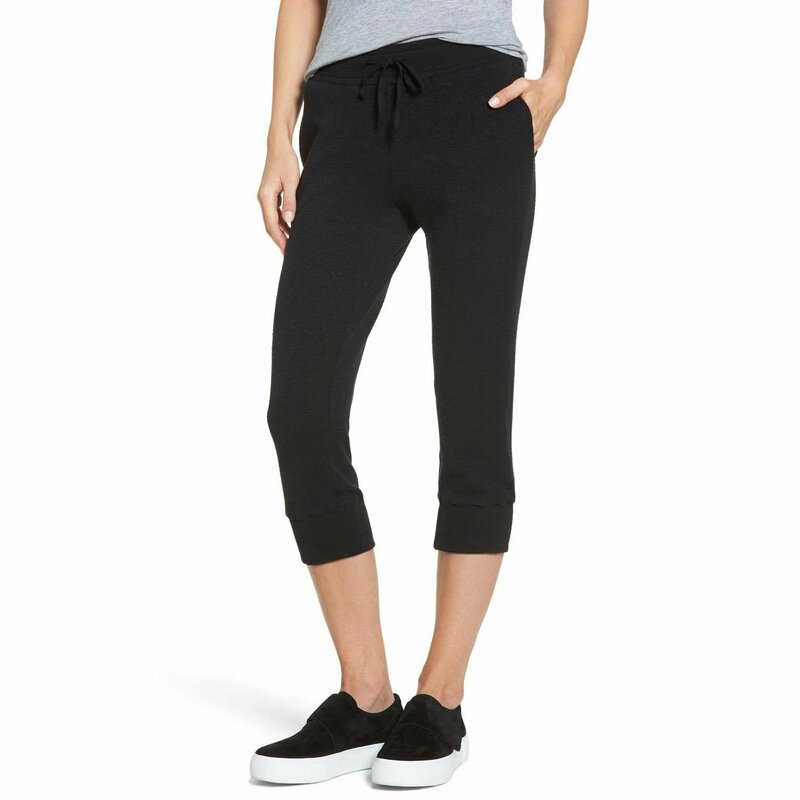 For reference, the Zella Midi leggings I love have a 24″ inseam, so these could definitely work. Let’s just hope the measurements are accurate on the website. Stay tuned to see if these work. 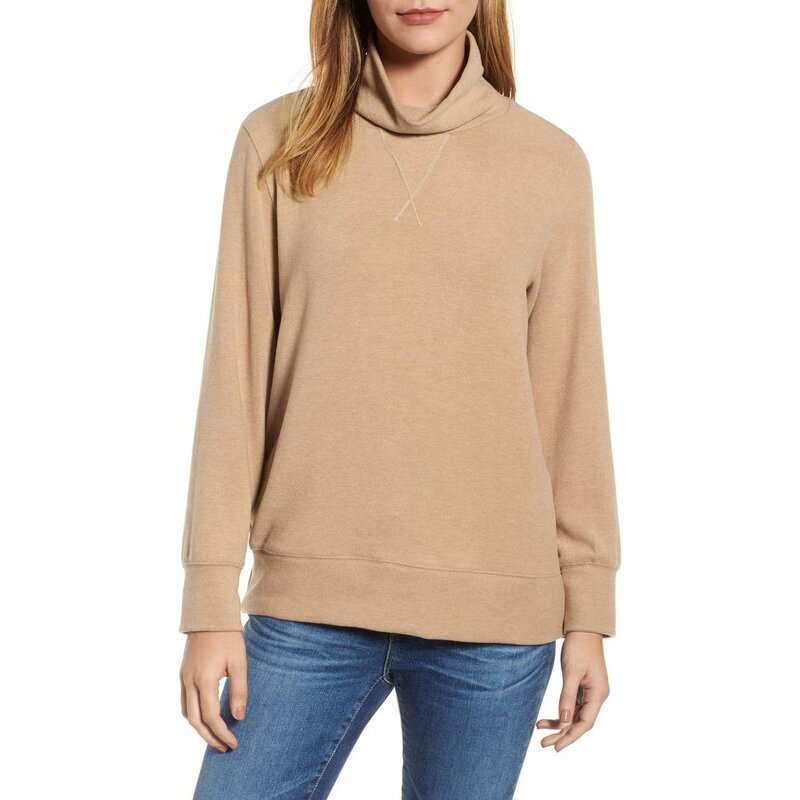 I live in my J.Crew turtleneck pullover from last year, so when I spotted this one, I snagged it. 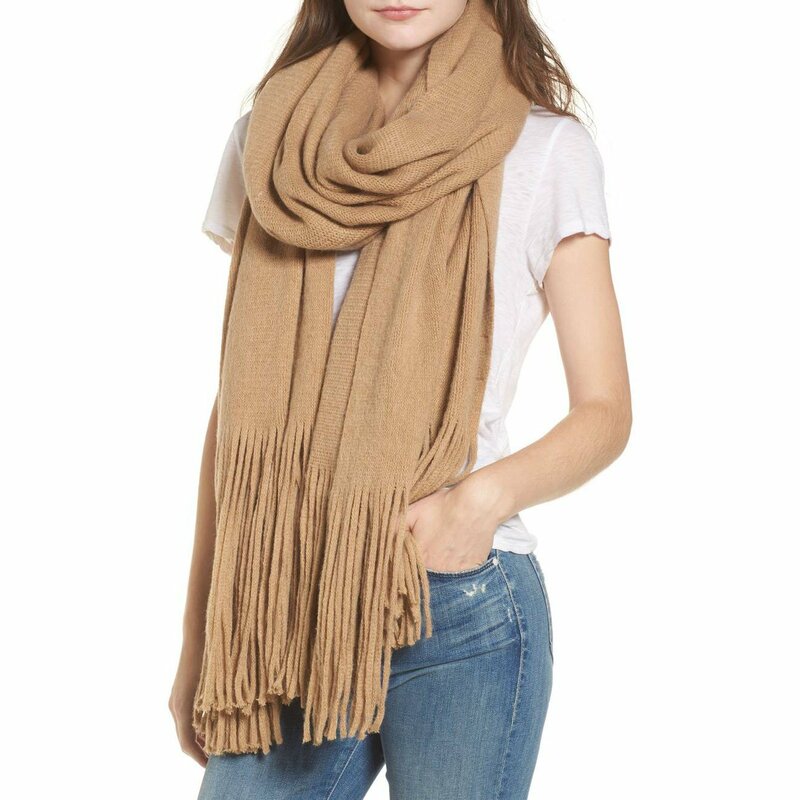 Madewell has a nearly identical one, but this one seems longer (which I prefer). I just love that it’s a sweatshirt, so comfortable and easy to throw on, but still looks pulled together. Turtlenecks have been everything in our cold climate, so I’m super excited about this one. 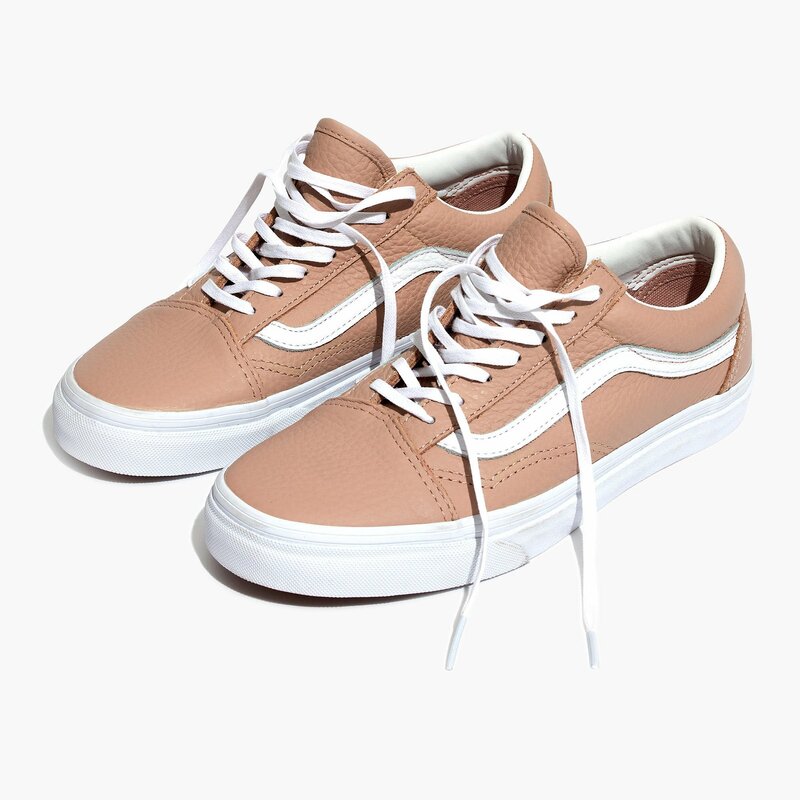 I’ve been really into this blush, rose color lately and these vans are perfect! They need some breaking in, the leather is fairly stiff, but I think they will wear nicely. I like to think this color is a nice neutral pop of color, if you will, lol. 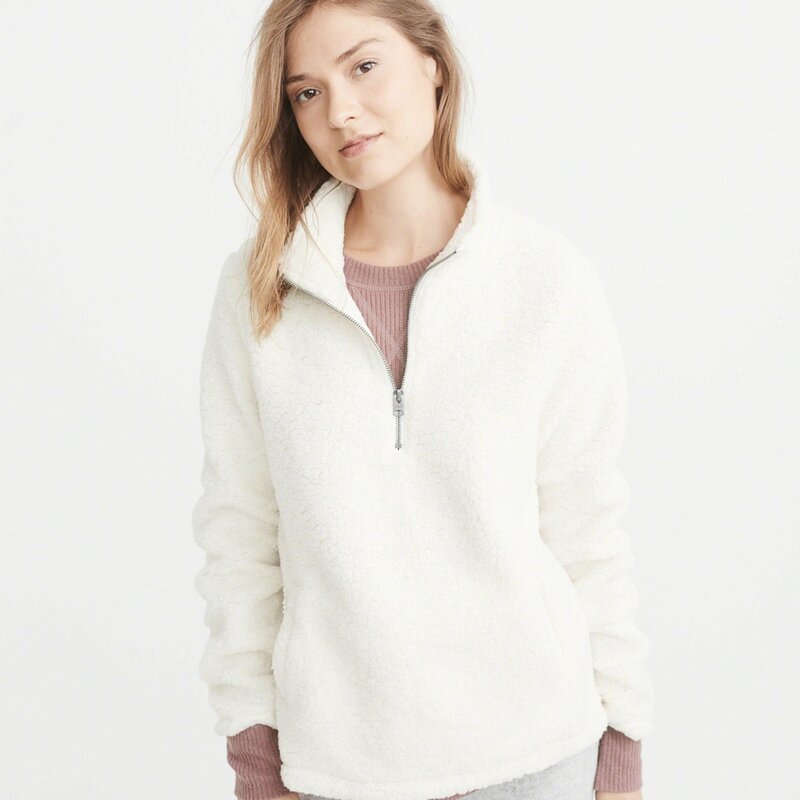 I have that cozy pullover from A&F and love it!! It has gone through 2 washes and is still shapely and fuzzy. And you can’t beat that price! Good to know! I just washed it and so far so good. I’ve heard great things about Zella leggings too! I’m gonna have to try them myself!